I know, let’s turn Indiana schoolchildren into prank monkeys! While it’s true that I’ve been out of teaching for four years, and with my youngest in the second semester of his junior year in high school, I really don’t have a dog in the fight, I still can’t wrap my head around what legislators—and not just those in Indiana—are doing to children. Before you start with the mistaken notion that I’m one of those liberal, union-loving, child-coddling, tree-hugging, GOP-hating left-wing nut jobs, let me put that to rest. I’m not. I’m a conservative Republican with Libertarian leanings who believes the federal government should not feed schoolchildren (their parents should) nor subsidize preschool (cut taxes so that one parent can stay at home). So there. Those two radical ideas might be off-putting to some of my friends, but we’re about two generations into a Great Society that has another mistaken notion that the federal government exists to take care of us. We need to get back to taking care of ourselves and get the federal government out of education. That said, I truly do believe in public education, even though my own children were mostly educated in Catholic schools. My parents were public school teachers, and between my husband and me, we have around 45 years’ experience in public schools both in the inner city and in suburbia. Public schools should serve as the great equalizer—a level playing field—even though school funding is a complex and counterintuitive formula here in Indiana. The takeaway? Provide a level educational playing field, yes, but hold each family accountable for how that education makes their children productive and responsible American citizens. But back to what legislators are doing to children, because if what happens within the walls of the school are not things that are best for children, then they ought not to be happening, right? Marathon standardized testing, mandated by state and federal regulations that are tied to funding, staffing, and a school’s A-F ranking is something that happens to children, not to adults. Explain to me how making a third grader endure nine hours and 25 minutes of standardized testing is good for him. Because I’d really like to know. In my last year of teaching, I was told that I was to “get” each of my 27 fifth graders to pass ISTEP. I laughed. Seven of my 27 young scholars spoke limited English. They might soar through the math part, but they wouldn’t even be able to read the language arts portion. In a hilarious twist of irony, these students would have the instructions read to them in Spanish, their native language, but would be forced to take the test in English. I wonder how many state legislators could take the test in Spanish. More hilarity. Moreover, several of my students with IEPs were not even close to reading on grade level, but they, too, were expected to pass the test. C’mon, their IEPs mandated that they would have extra time to complete the exam—all they needed was a little extra time, right? Hell, they could still be taking that fifth grade ISTEP today as freshmen in high school and still not pass it. Time was not what they needed, fellas. My point is this: How is standardized testing good for children? Does it make for better schools? No. Does it make teachers better? Hell no. Do teachers have any control over who walks through their classroom doors at the beginning of the school year? No! Does standardized testing eat up instructional time? Yes! Does it take away from authentic learning opportunities? Hell yes! Do I need to go on? No! Because common sense tells us that high stakes testing doesn’t do anything but create nail-biting, anxiety-ridden teachers and students, and turns school administrators into monocle-wearing, whip-bearing SS officers threatening to unleash their torrent of fury against any teacher who dares question the hours and hours of mandated test prep being forced upon them. After all, their necks are also on the line. Administrators who do not produce passing test scores shall be eliminated! There are parts of the ISTEP exam that make sense, and there are parts of it that are thoughtful and well-written. Well, at least there were in 2009, the last year I administered the test. 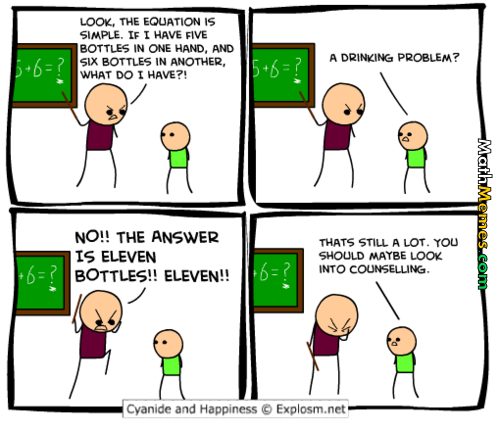 I’m not saying, “Abandon standardized testing forever!” What I’m saying is to be reasonable. Use the test as one piece of the assessment pie. Much of what happens to children while they’re in school cannot be and should not be reflected in the results of a standardized test, no matter how well written it is. Children’s writing, their ability to communicate, solve problems, seek out answers to questions, their technological prowess, their curiosity, and their affective learning cannot be adequately measured by a standardized test. Which is more important? To legislators, politics are more important, and schoolchildren serve the state as their pint-sized pawns. To them, a school’s poor test results means that those children’s teachers are bad, bad teachers and should be fired, their schools nothing but dens of iniquity full of leftist commie teachers who care more about their rights than the children they refuse to educate. Fire them! Fire them all—no, better yet, parade them throughout the streets of the capital city and throw rotten tomatoes at them. Make them a spectacle, an example of all that is wrong with public education. Heads on a pike! Burn them at the stake! And then we can turn all the public schools into charter schools, because that’ll solve everything. And all the time, those teachers were just trying to do what was best for children. I can’t remember if I loved history before I had Mr. Chesko in eighth grade Pennsylvania history or if it was his unique brand of teaching that made me love history. It doesn’t matter, though. If I had walked into his classroom already loving history, I left it with an absolute passion for it. I must admit that I was fairly intimidated by Mr. Chesko at first–well, maybe throughout my entire tenure at Linesville High School. You see, he didn’t put up with anybody’s tomfoolery, shenanigans, or monkeyshines, least of all mine. Which was good, because I was not always a very nice little girl at age 14. But I always knew where I stood with Mr. Chesko. When he first began teaching at Linesville, I used to hear some of the kids call him “Chico”, which I guess was a play off his last name. Whereas I never called our band director anything but “Touch” (even, shamefully, to his face), I could not imagine calling Mr. Chesko anything but ‘Mr. Chesko’, and if he were sitting here beside me right now, I’d still call him ‘Mr. Chesko’. You see, he did not encourage familiarity. He was not the type of teacher you could walk up to and make ridiculous demands of–like Touch. Oh, no. You did not make demands of Mr. Chesko. And as a veteran eighth grade teacher, I can tell you that this is exactly as it should be. So what was so special about Mr. Chesko? For one, he didn’t sit behind his desk and assign a chapter in the book to read and the questions at the end to complete and hand in before the end of the period, even if he had a game to coach that night and a series of plays to put together beforehand. In fact, I never remember him sitting behind his desk–he was always moving, even if he was tired because he was up all night with a newborn baby. Nor did he fling down with a sanctimonious fury that Rand McNally and expect us on the first try to point to Valley Forge, even if we should have known it was somewhere near Philadelphia. Neither did he force us to memorize speeches, dates, or obscure facts about the Revolutionary War and then chide us about our lack of knowledge when we didn’t get it right. Instead, he inspired us to learn about the substance of those speeches, the significance of those dates and timelines, and the interlacing of facts–the causes and effects of history–all by painting pictures with words, maps, and whatever other media he had on hand. He taught us about the events that shaped our history–our history. He reinforced his stories by asking us questions that had us on the edges of our seats, begging him to call on us, with questions that began with, “How do you think …?” And “What do you suppose it was like …?” Or “I wonder how …” He compelled us to become curious by default. At once, learning our history was thrilling. It was messy, it was gory, and it was fascinating. Which brings me to the fences. 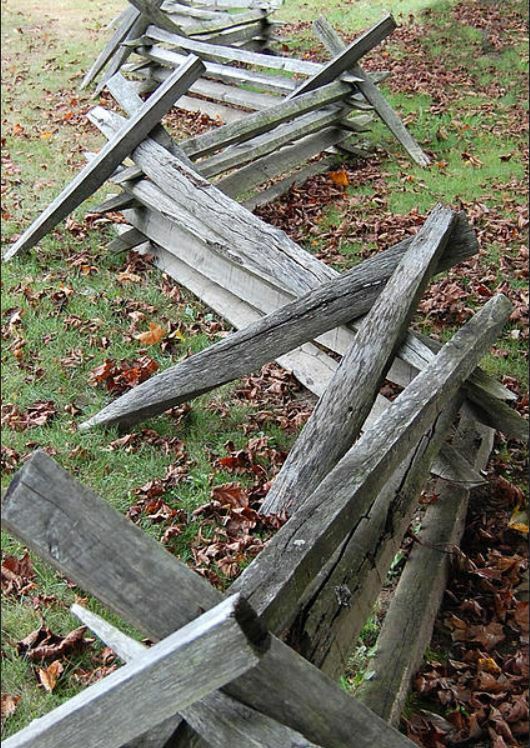 One of our assignments was to build a series of fences–fences that one would have encountered in pre-Colonial, Colonial, and post-Revolutionary Pennsylvania. Split-railed mortised, split-railed snake, log fences, stone fences–we were to build models of these fences, and we would be graded upon the historical accuracy of our creations. I heard some kids grumbling about how fences had nothing to do with Pennsylvania history and that this was a dumb assignment. Those were the kids who didn’t have a recently retired father at home itching to build something, one who also had a penchant for cabinet making and a passion for history that surpassed even his daughter’s. But I knew that Mr. Chesko was wily enough to figure out within seconds of seeing me walk into his classroom with my arms full of fences whether or not my dad had a hand in the building, so I told my dad to chill (no, I really didn’t but it was something along those lines), and I made the fences myself. As a consolation prize, however, I let him help my friend Dede with her fences, much to Dede’s delight. My dad and Dede worked all night on her fences while I furiously flipped through encyclopedia pages to find just the right images to replicate in order to make my fences historically perfect. To do anything less would have demonstrated a deep disrespect for the unique nature of the assignment. So what did all of this fence-making have to do with my passion for history and my reverence for Mr. Chesko? While making those fences (with my dad hovering over my shoulder giving me mortising tips), I thought about how folks during the Colonial period didn’t have power tools and had to split logs into rails with an ax. I wondered about how farmers in the Colonial period knew where their land ended and their neighbor’s began. I thought about how long it must have taken the Colonial surveyor to determine the farmer’s property lines without the benefit of modern maps. I thought about how, while the men in the community were splitting rails to divvy up their properties, their children were kept busy placing the split rails in the snake pattern formation. I wagered that, at the very least, the Colonial wives, with their aproned skirts waving in the wind, were stirring a big iron pot of something stew-like over a huge fire because their men would certainly be hungry after all that rail splitting. That got me wondering what kinds of vittles the Colonial folks ate–was it all rabbit and squirrel with the occasional deer thrown in? And how did they keep all that meat fresh without modern refrigeration? I thought, and I wondered. And that, my dear friends, is how you teach American history by asking your students to build fences. Weird, huh? Mr. Chesko, you taught and coached two generations of western Crawford County kids how to win and lose graciously, how to build character through sportsmanship and academics, you helped those two generations grow into productive and active members of the community, you coached a girls’ basketball team that brought home the first-ever state championship to the little town of Linesville, and best of all–for me–you taught me how to make those fences. You are loved, you will be missed, but know that you are now, without a doubt, a dear and cherished part of Linesville’s history. Maybe we should lower our standards? Just last week, lawmakers in my adopted state of Indiana decided that there were enough educated, trained, and experienced teachers out there, so they went ahead and opened the gates of teacher-dom to anyone with a college degree and a ‘B’ average. I’ll get to the comparative analogies in a minute. So, what does this new law say about the majority of teachers who matriculated through teacher training programs at accredited universities, spent countless hours observing and participating in the teaching process in classrooms with veteran teachers guiding them through their nascent lessons and interactions with children? What does it say about the future teachers who spent upwards of two semesters student teaching at different grade levels in order to experience as much of life as an educator as possible before Pomping and Circumstancing their way across the graduation stage? And what does it say about those who braved the interview processes at several school districts only to finally land their dream job–as a teacher’s assistant or a substitute teacher with the hopes of someday being called up to the big leagues? And what does it say about established teachers who, on their own dime, sought out advanced degrees and certifications so that they would be not only more marketable within their school district, but more importantly, become better at their craft? What about those who went back to graduate school to earn a special education or gifted education endorsement, a middle school or high school certification, a Master’s Degree, or a principal’s license? I’ve done everything listed in the last two paragraphs, all while giving 25 years of my life to the State of Indiana as a teacher, both at the elementary and middle school levels, both in the rough and tumble inner-city of Indianapolis and the once tony suburb of Lawrence Township. Most of those years were amazing; some of those years were downright awful, but in retrospect, I wouldn’t have changed a thing. That I am no longer a minion of the State of Indiana is irrelevant–what is relevant is the State of Indiana’s latest bone-headed move to lower the standards of teacher certification. I graduated in 1985 from Penn State University with a 3.5 GPA. So, whaddya say, Indiana? Can I become a nurse? What’s that? I have to pass a test? No problem–I’m an excellent test taker. Experience? Psht! I have three kids that came out of my body, so I think I know a little bit about being in a hospital and what it takes to be a nurse. And the countless trips to the ER and their broken bones, stitches, and the one time my daughter Caroline drank a bottle of liquid Benedryl …yeah, I think I can handle this. How hard can it be? I want to be a nurse, for crying out loud, not a biomedical engineer. Geez. So if not a nurse, there’s another profession I’ve always thought I’d be good at: Lawyer. How hard can it be? I know you have to pass a test (again–GOOD TEST TAKER HERE), and you have to be able to write well (I think I’ve got that, Scooter) and know a lot about the law and how to research laws, precedents, decisions, and stuff like that. So, can I be a lawyer? What, is there some exclusive club that only lawyers know about that would prevent me and may 3.5 GPA from Penn State University in Elementary and Kindergarten Education from becoming a lawyer? Okay, so then can I go back to being a nurse? Skills? Special skills? To be a nurse? Oh, like giving shots and things. I already know how to do that–I gave myself shots every day for the first three months I was pregnant with the Boy, so there. There’s more? Well, what about “on the job training”? No? Why not? Okay, so maybe lawyering is a better option. I know they read a lot. I read a lot. I don’t understand why I can’t be a lawyer. Gee, I’d love to sit down and outline for you all of the necessary pedagogy, the extensive metacognitive skills knowledge base required, the need to have a complete understanding of P.L. 94142, the difference between an IEP and a 504, the ability to align a set of standards to instruction and an ability to document the hell out of it, the affective aspects of containing upwards of 40 children in one room at a time for an extended period and …well, I could go on and on. Harder than you think. Teaching requires a hell of a lot more than a 3.0 GPA and a degree in Hotel and Restaurant Management. Posted on May 21, 2014 May 22, 2014 Categories Education, Social and PoliticalTags education, State of Indiana, teacher training, teaching4 Comments on Maybe we should lower our standards?